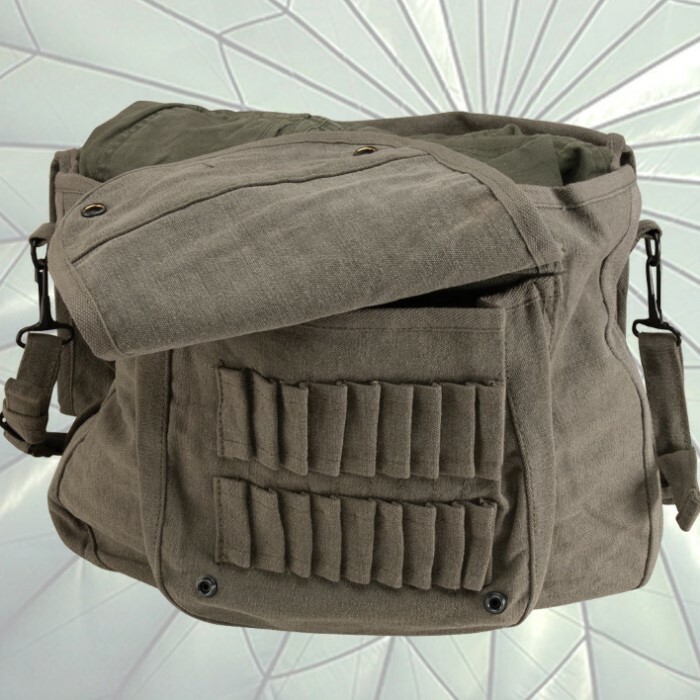 Classic Paratrooper Shoulder Bag | BUDK.com - Knives & Swords At The Lowest Prices! I use it as my every day bag for when I'm out and about. Fits my sketchbook great, plenty of room, three partitions for your things along with the front pouch. Been using for a couple months now and I love it. I bought your small od shoulder bag to carry my Nook Tablet in and it works great. I use it almost everyday. I purchased an Acer Windows 8 tablet that has an 11.5 screen to replace my old laptop. It did not fit my case so I bought the bigger one. It is a perfect fit. With the three compartments, I have room for the tablet, its docking station, bluetooth keyboard, power supply, and external dvd and hard drives. It seems to be very sturdy and protects my hardware very well. My wife likes it so much that she wants one for her laptop. excellent bag. durable, lightweight, and easy to carry. it has officially become my con-bag & survival bag. While I likes the bag, I thought it would be bigger. Would suggest getting the Vintage messenger bag in woodland camo because of the extra couple of inches. 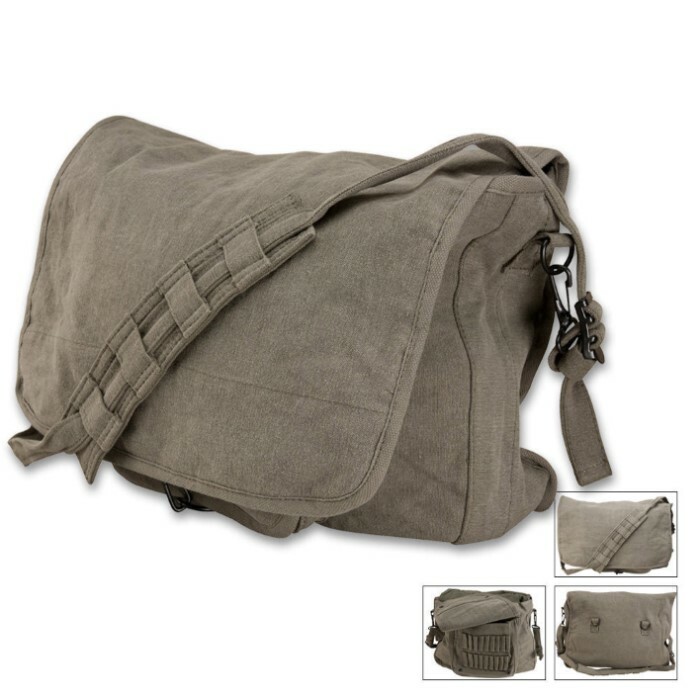 However, if you don't think you need the space,THIS BAG IS EXCELLENT. I'm probably gonna keep it and buy the woodland also. really good, sturdy material. plenty of space in the bag. three main compartments and an ammo pocket with ammo sleeves underneath the main flap. the only thing you might want to consider is putting some cardboard in the back pocket so that the bag will stay a little more stiff but that's the only fault.